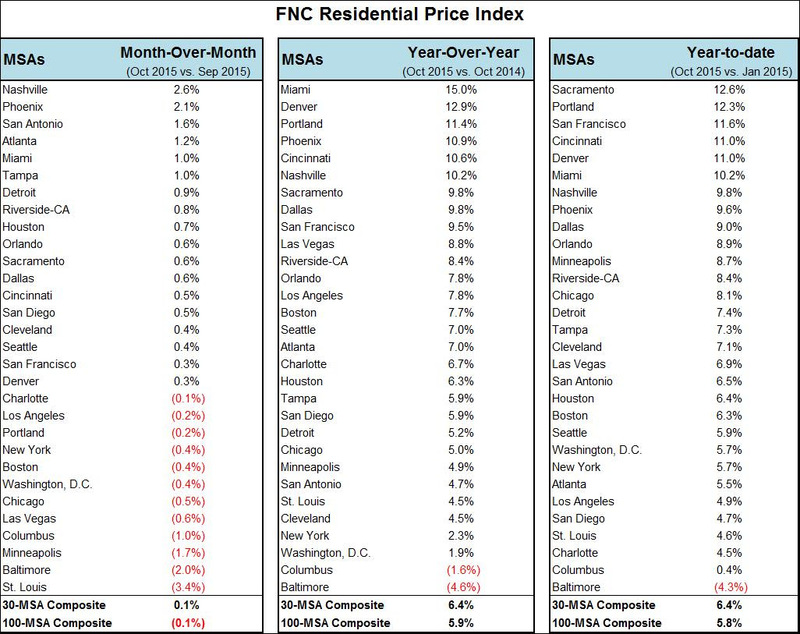 U.S. home prices ended their nine-month string of upticks in October, according to the FNC Residential Price Index. While seasonality surely has a role in the slow down, experts believe the market to be on the rise on a much more steady basis next year. 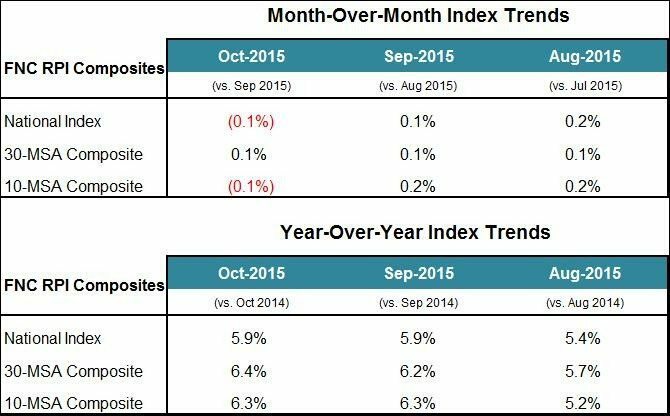 In October, annual growth was reported at 5.9 percent. “On the upside, low interest rates and the leverage provided by loans under affordable housing programs help maintain affordability and partly offset the impact on affordability from months of rapidly rising prices,” said Yanling Mayer, FNC’s housing economist and director of research, in a statement. 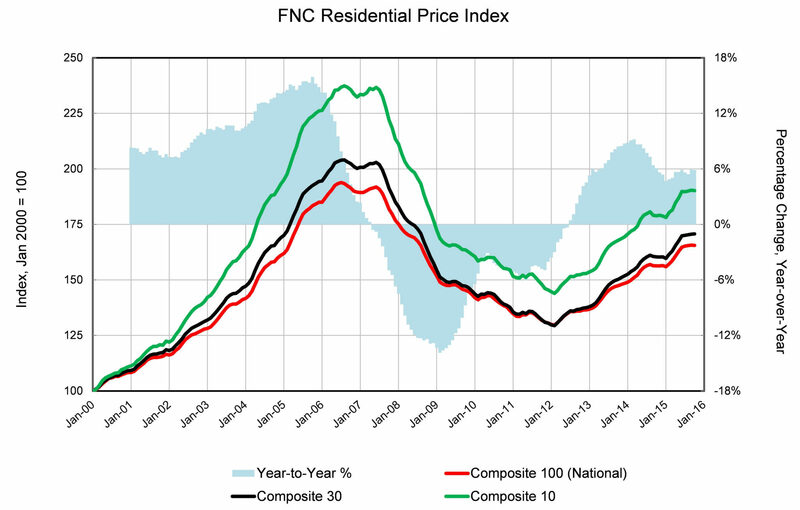 In Houston, the FNC Residential Price Index saw a year-to-date increase of 6.4 percent– comparing October 2015 to January 2015. The year-over-year increases and monthly changes were just as strong with an increase of 6.3 percent and 0.7 percent, respectively.